Epsom Salt can do amazing things for an array of different plants to help them flourish. The properties of the two key components of Epsom Salt: Magnesium and Sulfate - are what make Epsom Salts so beneficial for use in the garden as a plant food. Our Epsoak® Epsom Salt is of the highest quality making it an ideal selection for helping your flowers, fruits and vegetables grow. It especially works wonders on Tomatoes, Roses and Lawns. Best of all, using Epsom Salt for plants is a completely natural and cost efficient way to give them that extra boost to help your plants thrive. If you’re thinking of starting a garden, be sure to add your Epsom salts right away , to ensure your plants get the best start possible. Epsom salts are easy to use in your garden, simply apply approximately one cup of Epsom salts per 100 square feet to the soil, and work the salt into the damp soil, making sure the salt is distributed evenly. 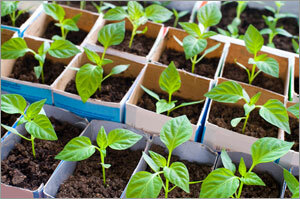 Planting mature plants can be hard on them, as it takes a while for them to acclimate to the new environment. You can make the transition a bit easier by adding Epsom salts around the root system of each new plant you add to your garden. Better Fruits, Veggies, and Herbs! Epsom salts are wonderful for any plants in your garden, and this includes fruits, vegetables, and even herbs. 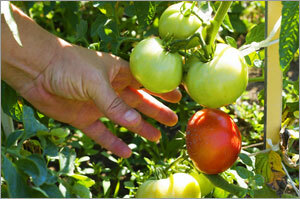 Epsom salts can be added to your existing garden or to a brand new one (see above for directions). To make your veggie or herb garden thrive, all you need is Epsom salts, a tank sprayer (found at home and garden stores, and nurseries), and water. Rather than pouring Epsom salts directly on to the soil as mentioned above, you’ll create a solution using the salts and water. Fill your sprayer with 1 tablespoon of Epsom salts per 1 gallon of water. Spray this solution evenly throughout your garden, both when you first start your garden and as it grows. If you continue to use Epsom salts in this way, you may be surprised at how your garden flourishes. Certain fruits and vegetables, such as tomatoes and peppers, tend to be deficient in magnesium. 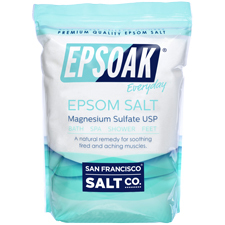 Since Epsom salt is rich in magnesium, using it will make up for this deficiency and result in a much healthier plant. 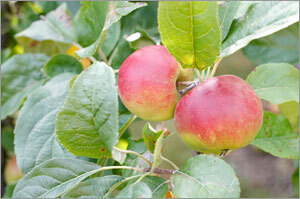 If you are lucky enough to have trees in your yard or garden, you’ll want them to live a long, healthy life. For a tree to really thrive, it needs plenty of water and nutrients throughout each stage of its life. Adding our Epsom salts to the soil around your tree (particularly at the beginning of each season, to prepare the tree for a change in weather conditions) will help it grow strong, by ensuring the absorption of nutrients through the root system. Add two tablespoons of Epsom salts per nine square feet of soil to the area around your tree and your tree will be enjoyed for years to come. If you have a tree that blooms or produces fruit, watch for an increase in both – Epsom salts are known to aide in the production in all fruit and flowering plants, including trees. 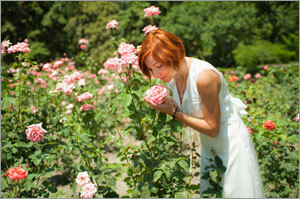 Epsom salts are especially beneficial for your rose garden. When mixed with the soil beneath your rose bushes, Epsom salts can help your roses thrive – leaves and stalks will be greener, roses more colorful and more abundant. Epsom salts are perfect for your roses whether you are starting a new rose garden or caring for your existing bushes. If you are starting a new rose garden, begin by soaking your new unplanted rose bushes in an Epsom salt solution consisting of one cup Epsom salt to one gallon of water. Once your roses are planted, apply the same solution to your rose bushes using a tank sprayer or watering can. You can also apply the solution to individual plants using a solution of one tablespoon of Epsom salt for each foot of rose bush. Be sure to water the bushes at the very base of the stalks to encourage growth and strength of each cane. Epsom salts help all of your flowering plants and shrubs flourish, by encouraging blooming and adding the nourishment necessary for plant health. 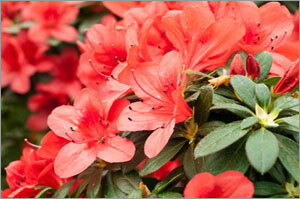 Plants such as evergreens, rhododendrons, and azaleas do particularly well with Epsom salts. As you begin using Epsom salt in your flower garden, you’ll notice many changes – leaves and stalks will be more vibrant and green, flowers and blooms more numerous and colorful. Apply one tablespoon for every nine square feet of bush to the soil near the roots and repeat weekly for a beautiful garden!